Google's unique stick has lots of potential - but needs someone to realise it. We’ve been playing around with a Google Chromecast for a long time now and kept pushing back our review as we discovered new apps for it every week. That, in itself, says all you need to know about Google’s streaming media device. The tiny gizmo, about the size of USB stick, is the latest in a long line of gadgets that smarten up your telly, allowing you to access Netflix and BBC iPlayer in your living room if you don’t have a games console or Smart TV. Its unique selling point is the fact that there’s no remote: operating it relies on interaction with another device. With Roku recently launching its Streaming Stick, is Chromecast a cut above the competition? We take the piece of tech for a test drive. Small enough to fit in the palm of your hand – and, more importantly, not to clutter up your living room, the Google Chromecast stick is as snug a fit in your TV’s HDMI port as its Roku rival. It even comes in a snazzy Apple-style box. At £30, the Chromecast’s biggest pro is its price: £20 cheaper than the Roku equivalent and far more affordable than the £99 Apple TV box. However, to operate a Google Chromecast, you do need a compatible device, be it a computer, tablet, or phone – which adds to an overall cost, if you don’t have a smartphone or something similar. But then you probably wouldn’t be considering this anyway. Setting up a Google Chromecast is simple: plug it in (you’ll need a spare power socket), turn your TV to the right HDMI channel, then go to Chromecast.com/setup on your device. A quick authorisation code and Wi-Fi access details later and it’s all ready to go. This is where it starts to get interesting. Google Chromecast does not come with any apps installed on it – and you can’t add any. Rather, you install apps on your device that are compatible with Chromecast, then you “cast” what you would see on your device’s screen onto the TV. Then, you can continue to use your phone or tablet or computer for other things while the content plays on the big screen. This is where Google Chromecast comes into its own – and also finds its biggest weakness. The ability to interact with Chromecast via your device is an exciting idea that has a lot of potential. As with Android, the platform is open to all developers, which means people could do some extremely unique and experimental things. But, much like Android vs Apple’s OS, you have to wait for someone to actually make them. The number of official, basic apps available at the moment is a mere 12: BBC iPlayer, Netflix, YouTube, BT Sport, Google Play Movies & TV, Google Play Music, Red Bull TV, VEVO, Plex, RealPlayer Cloud, Rdio, Wuaki.tv. However, that’s already an increase on the original launch line-up: the library is growing. In fact, if you go into your device’s app store and search for Chromecast, you’ll find a lot not listed on Google’s site. At the time of writing, an iPhone user can pick between 43 different apps that are Chromecast compatible, including games (more on those in a bit). iPlayer is the kind of intuitive app you expect from the BBC, quick to browse, smooth to cast and readily available in HD, if you’re Internet connection’s up to it. The same is true of Netflix and YouTube, which each jump from your small screen to the big with minimum fuss and maximum visual quality. Google Play’s apps are a welcome addition, giving you the option to watch pay-per-view movies or TV shows – although, of course, only via the Google stores. Don’t expect iTunes integration here, although Wuaki.tv is impressively already present, offering both subscription and TVOD – Google’s openness to other companies means you can expect Tesco to arrive soon with a blinkbox app. Plex lets you stream any local media via Wi-Fi to your telly, from music to movies, although any DRM-restricted content (e.g. iTunes movies) will not work. Red Bull TV, meanwhile, is a bizarre offering; a channel of extreme sports videos, an average of 5 to 10 minutes long, which you suspect will only appeal to a niche crowd of users. Then there’s the option to use your laptop to Cast an Internet browser window onto your TV: a neat way to show web media/content on a bigger screen for others to see. Unfortunately, it’s restricted to certain websites and approved pages; you won’t be able to open up iTunes, for example, and mirror that screen on your telly. Of course, all of the above comes under the same caveat as before: it all depends on your device. Run out of space on your phone/tablet? You can’t add any other Chromecast apps until you delete something else. There are already games starting to appear that are Chromecast compatible. Apple users can get TicTacToe, which allows you to play noughts and crosses against other people online – although, perhaps an indication of how widely adopted Google’s stick is so far, you may be waiting a while for anyone to sign in. More impressive is Arcade Cast, which contains such classic arcade games as Tetris that can be Cast onto your television: your phone or tablet turns into a retro-style gaming controller, which you hold sideways. That’s exactly the kind of thing that could make Chromecast the most exciting streaming media device on the market. A lot, to be frank. 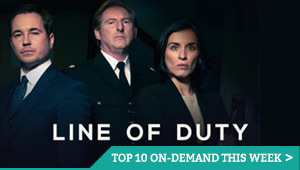 There’s no Amazon Prime Instant Video, no blinkbox, no 4oD or ITV Player. Compared to Roku Streaming Stick’s line-up of content, Chromecast is a long way behind. But as Google has proven with its Android phones, give it time and their store can quickly fill up with homemade apps. The question is whether the current offering is enough to keep you entertained in the meantime. Chromecast is easy to browse and control through your separate device – or more accurately, it’s as easy as your device is. If you have an Android tablet or an iPhone, you’re likely to be familiar with their interface already, so it won’t be much of a challenge to simply hit the Chromecast logo in the corner of the relevant app to activate casting. Then you can play/pause/rewind/adjust the volume while still sending text messages or stalking people on Facebook. The interface is equally simple on a computer: Google’s Chrome browser, which is easy to use anyway, has an extension that adds the Chromecast button to your screen – although, as with before, it will only work with a select few websites. Chromecast is compatible with all Android tablets and smartphones, iPhone and iPad devices, Chrome for Windows, Chrome for Mac and Chromebooks. With its dual screen interface, Google Chromecast has the potential to be the most unique streaming media device around. But its reliance upon another device is both its biggest strength and weakness: the possibilities are huge and could well pave the way for some fascinating and original gaming experiences, but for now, they don’t exist. If you want to experiment with a new toy, Google Chromecast is for you. If you want an affordable way to access iPlayer and Netflix, it’s also a good choice. But if you prefer a more traditional, remote-based device that will give you a wider range of VOD services, you’re probably best stumping up the extra £20 for a Roku Streaming Stick. 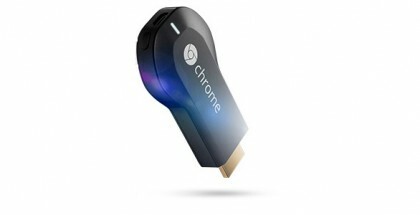 Chromecast has the potential to be the most unique streaming media device on the market. At the moment, though, it’s simply the cheapest.